After completing their first marathon or 22nd, a runner usually thinks of speed training and asks, “How can I get faster!” This is when they begin to incorporate a different, more intense element of training which can add a whole new dimension to marathon running. 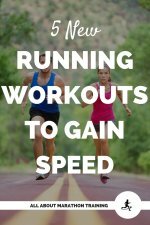 Speed work teaches your body to run faster through shorter faster workouts. Each week during your fast workouts you will push your body to go a farther distance faster. In this way you muscles begin to adapt and can handle faster paces. There are several types of speed workouts, some more advanced than others, some that are more enjoyable than others. You’re body is only usually able to reach peak performance about two to three times a year. You’re body also can only handle about 3-4 months a year of speed training (14 weeks at the MOST). This is due to the excessive stress that it puts on the body and the exponential increase in risk of developing an injury due to the intense workouts. 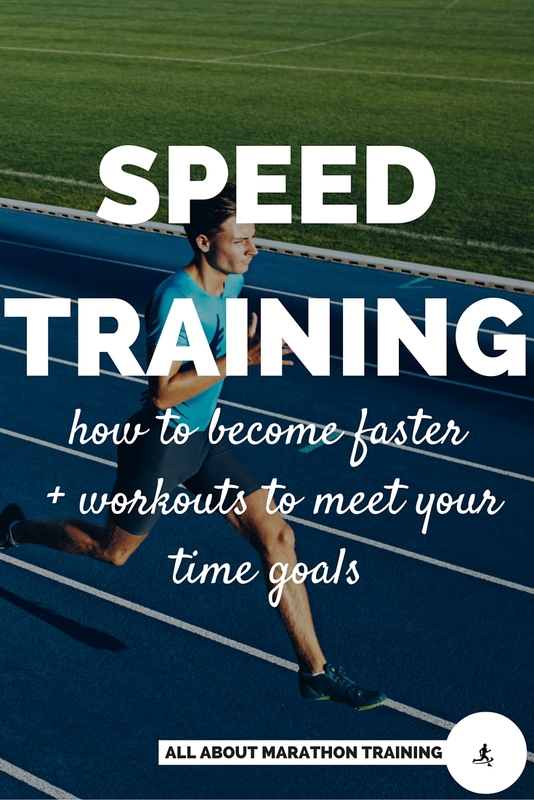 Therefore if you are training for a race you should start to speed train about 3-4 months before your race day. This means that by the time race day comes along, if you have been training correctly, you will be at your peak fitness level in terms of quickness. 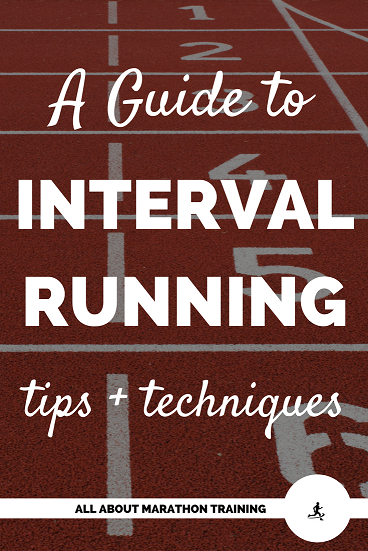 As mentioned above there are many different speed workouts that you can incorporate into your training such as the fartlek, interval training and tempo runs. Choose one of these workouts and push yourself a little more each week. 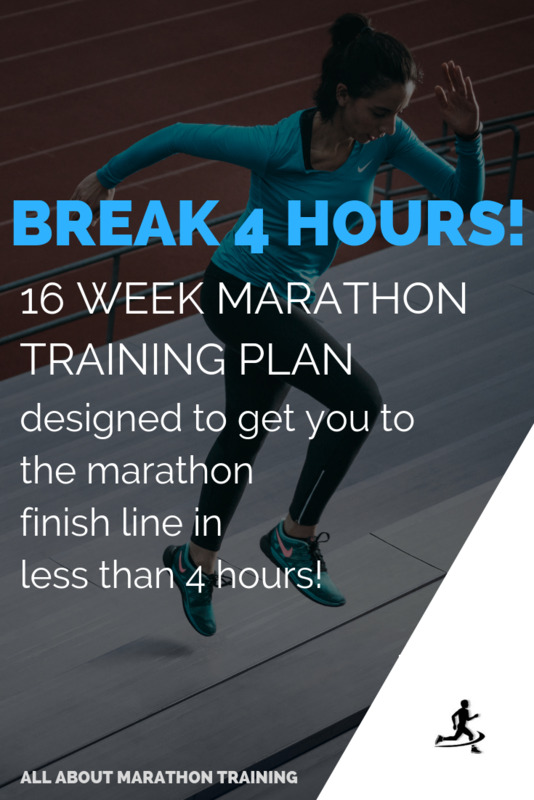 Follow their guidelines and a marathon training schedule that maps out days on which you should do speed work. 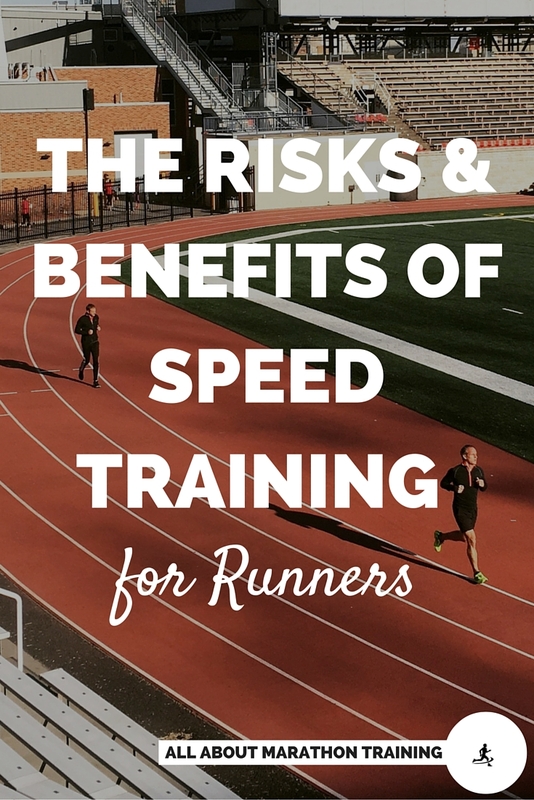 Where to Train for Speed? 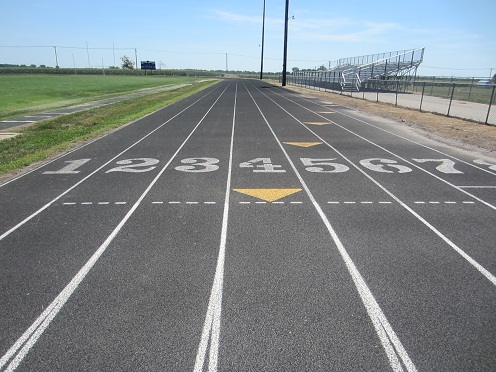 The best place to do your speed work is on an outside track. It is best to run somewhere where you know your distances are accurate. This is why tracks are usually the best spot because they have the 200 to 1600 meters mapped out for you and your times will be more meaningful to you. Indoor tracks are also good especially if you want to stay out of the bad weather and still keep training, say for a spring marathon. However be careful about indoor tracks as they usually are shorter than outdoors ones so make sure you know what the actual measures are and adjust to it. Also, indoor tracks can give more trauma to your knees as the turns are usually sharper. If you can’t find a park, school, or college near you that has a track then find an area where you can be sure of the accurate distances such as a trail or some stretch of land or loop. You can always use odometers to measure distances (bicycle odometers work better than car odometers and are more accurate for measuring a running distance). Pedometers also work as well but make sure your pedometer is accurate. Nike does sell some nice, well made pedometers that you may want to invest in. When are You Ready to Speed Train? Your body MUST be properly adapted to running before you take on speed work. This training is incredibly stressful on your body and not being adapted to running will almost inevitably leave you with injury. This cannot be stressed enough and many runners who are not ready to start training for speed find themselves injured and out of running circulation for weeks and even months at a time. Speed work is NEVER for the beginner runner or marathoner. When running your first marathon your goal should not be one of time but rather with the ambition to finish – an incredible goal as it is. 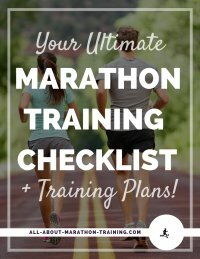 Before you can run a fast marathon you must first be able to run a marathon. 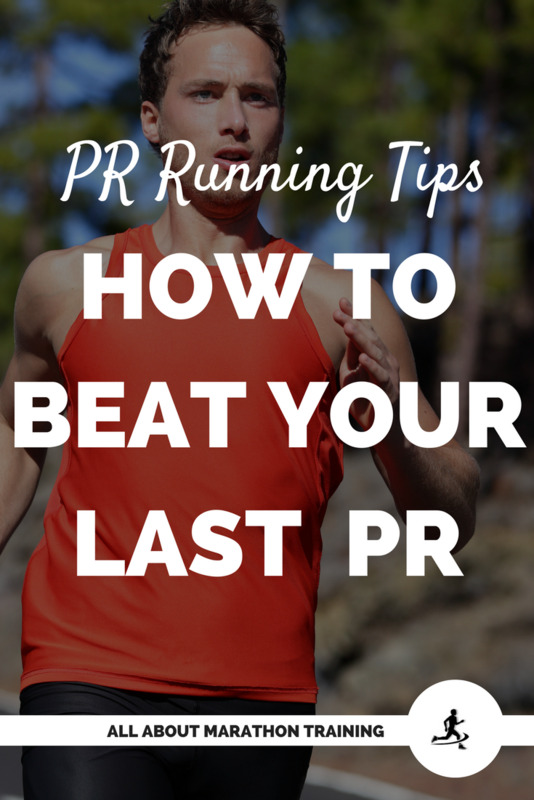 Once you have completed a marathon then you may be ready for speed training and the PR’s ( Personal Record) and PB’s (Personal Best) that will hopefully come with it. Run regularly for at least a year. This will give your body, muscles, tissues, etc. 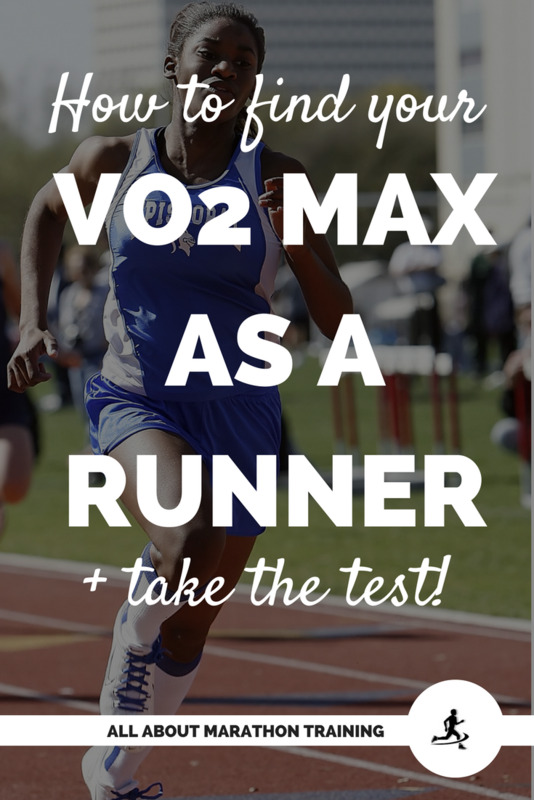 time to catch up to where you should be for speed workouts. This may sound like a long time but don’t skimp and go the full year before you do add them to your running schedule. Your body needs this and will reward you with strength and faster times. Incorporate leg strength training before you begin. Having strong legs will help to alleviate some of the pressures of the stresses of speed training. It also reduces your chances of incurring an injury. The best way to get strength in your legs and prepare yourself for speed training is by hill workouts. 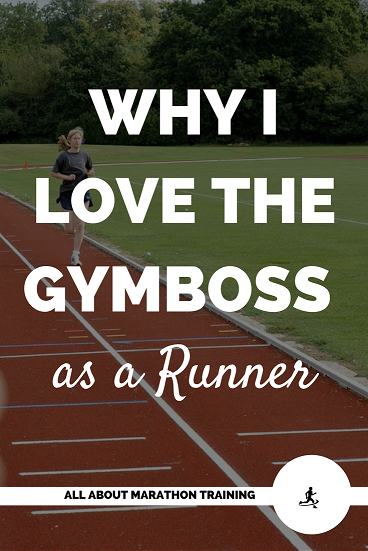 Be running at least 20-25 miles a week. 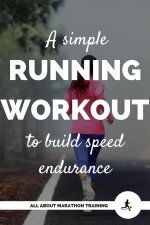 A normal running week will include a couple days of easy runs, a long run and a speed workout. 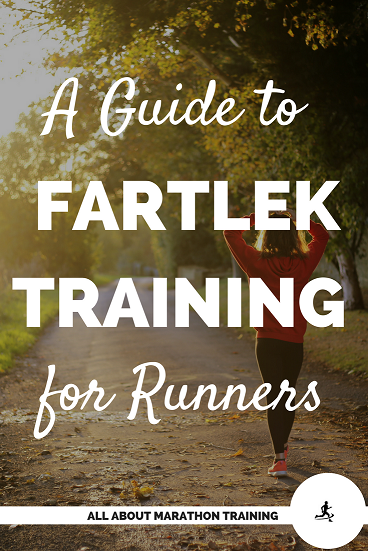 This should all be included in your 20-25 miles a week which you should be running for about a year before you add your speed training to your routine. 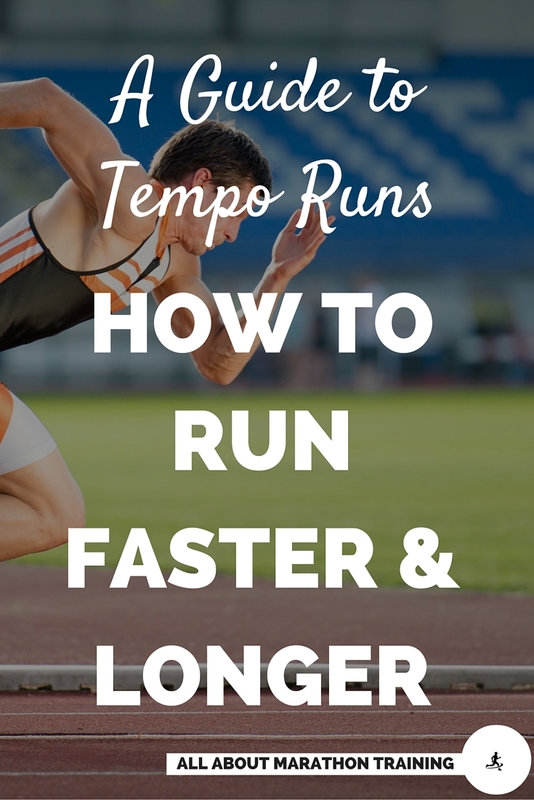 Adding some speed work can go a long way in helping you to become a faster, speedier runner. Don't underestimate it's power in gaining but also don't overestimate it's power in losing. 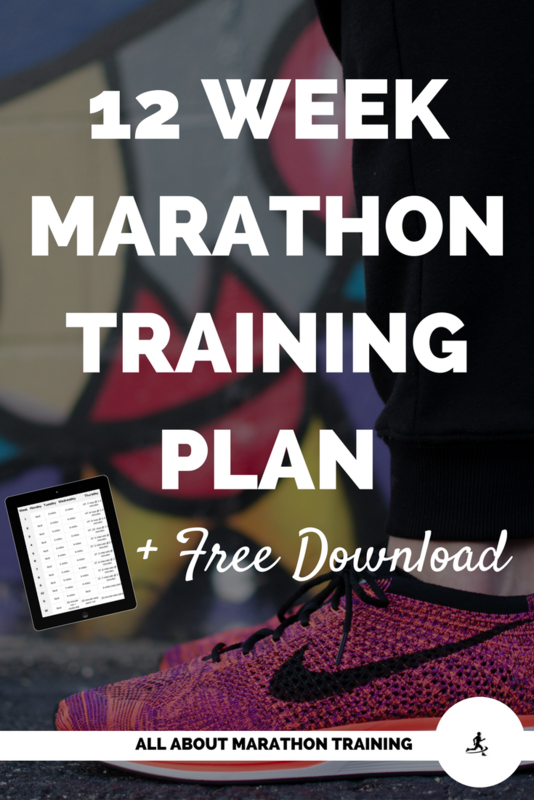 Looking for a marathon training plan that includes speedwork? 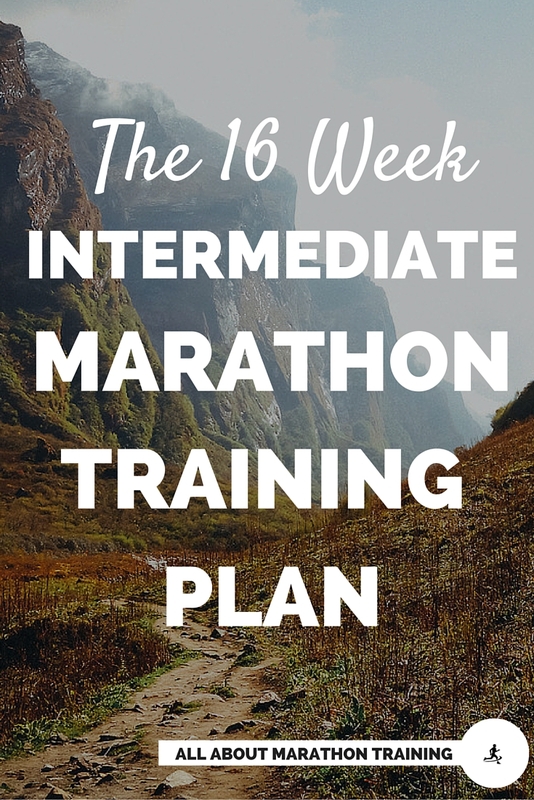 Here are some marathon training plans that include speedwork (and hill training) to help you reach your next time goal or PR! 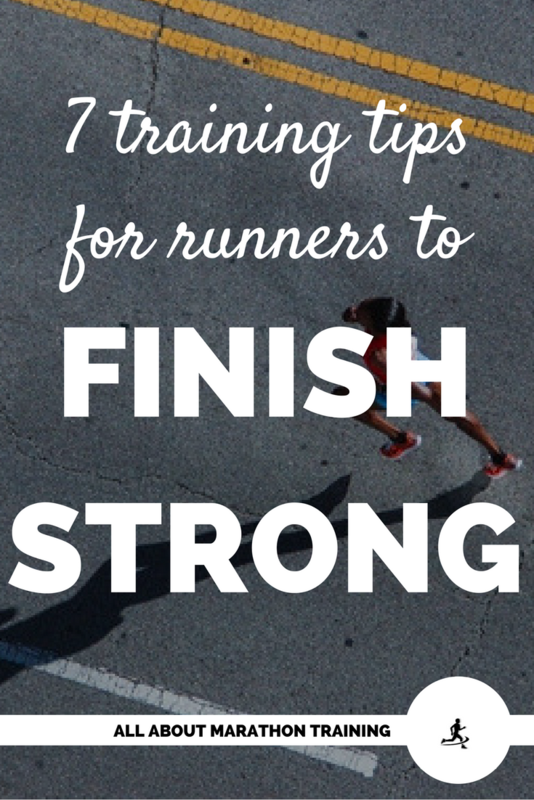 7 Ways to Train Yourself to Finish Strong! 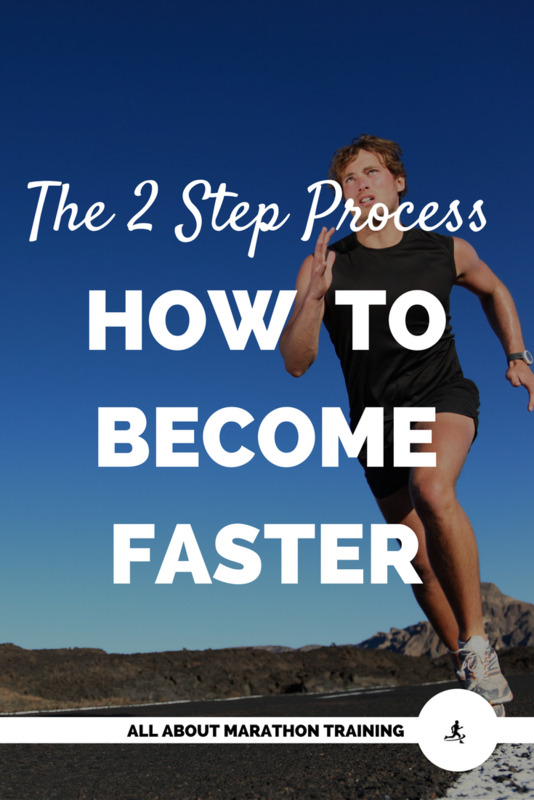 The 2 step process to becoming faster!